A group of masonry units that span an opening. When I was a young guy I spent nine months or so in Japan mostly living in Tokyo. A few times I visited a sumo wrestling dojo to watch the early morning training sessions. A pair of huge guys (they had names like "man mountain") would throw themselves at each other. With arms locked, heads on shoulders, haunches rippling and trembling with the strain as they would try to push each other out of the ring. Many times they would lock solid with no movement for minutes at a time. They were locked unmoving because the thrusting forces were opposed by equal forces. If one slipped then both would fall. What happens with the wrestlers happens with arches. The arch in the photo above has tonnes of masonry thrusting down on it from above, While the one on the right has lost it's mass of surrounding masonry and it seems close to collapse. If you look closely at the top photo you will see that the stone spanning the door head is in one piece and it just sits on either side of the supports. If a horizontal beam spans an opening in one piece it is known as a lintel. 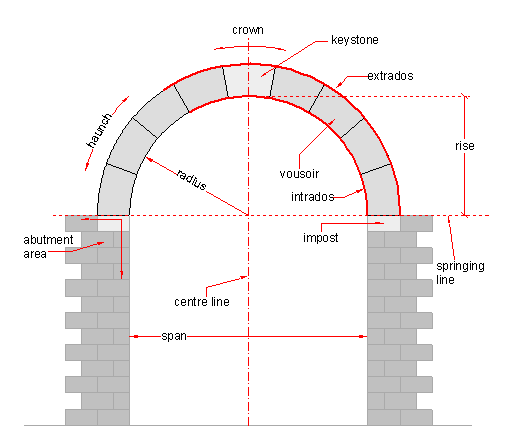 If it needs to be made up pieces of masonry then even though it is still flat it is still known as an arch. That is a flat arch. A sketch showing some arch definitions. Common terms used in arch building. The top section of a curved arch (or road camber etc). 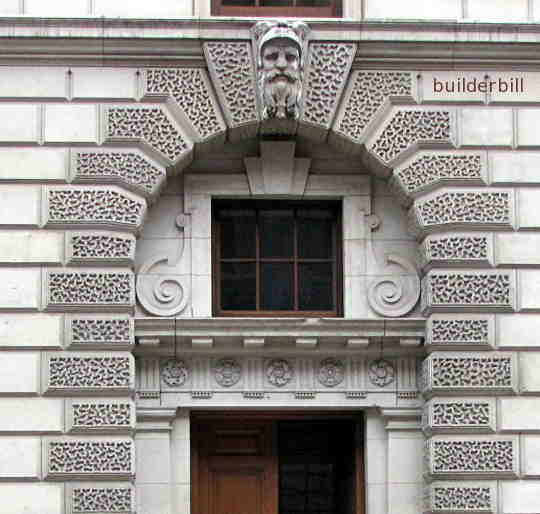 In stonework the keystone is a central voussoir that is quite often decorated in some way. 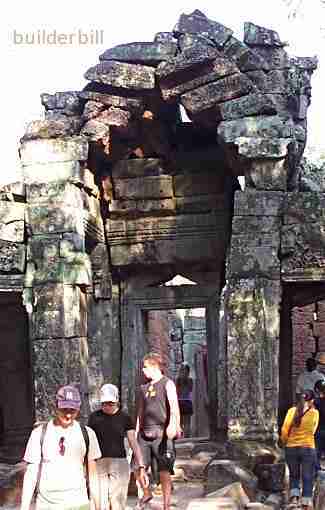 When the arch is being built it is always built up evenly from side to side and the last stone placed is the keystone. A horizontal construction line denoting the starting of the curve in curved arches, or the bottom of a flat arch. A construction line denoting outer limit of the arch. It is used in the setting out. A construction line denoting inside limit of the arch. It is used in the setting out. Not be be confused with the soffit which is a surface. The first few voussoirs up from the springing line. The individual masonry pieces that make up an arch. (In the sketch above their are nine of them. The masonry piece that one end of the arch sits on.